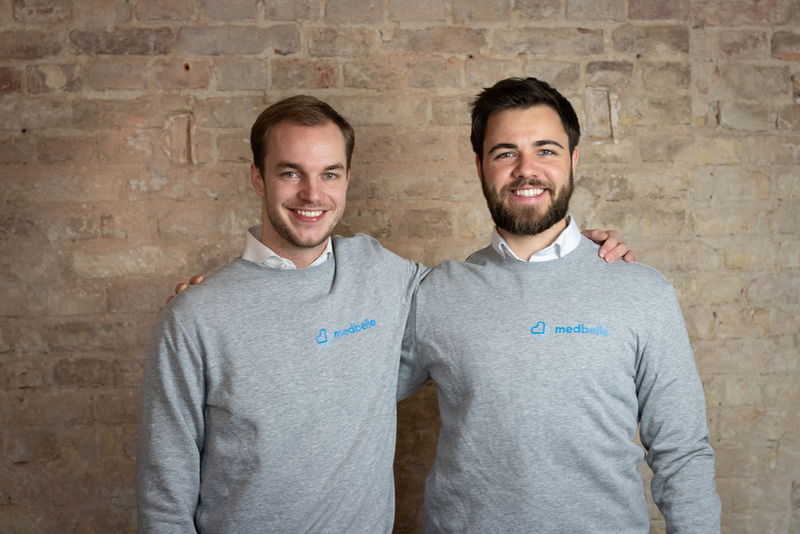 Medbelle is Talis Capital’s first investment in healthtech and we are very proud to be joining signals Venture Capital, Mutschler Ventures, IBB and Cavalry Ventures in contributing to the Berlin-based company’s $7m Series A fundraise. As my colleague Beatrice has explained in great detail, in a two-part blog, digital disruption of healthcare is well underway, particularly here in the UK. We see healthtech as a key sector for future investment and within that very broad sector, we have identified several sub-verticals as ripe for transformation including telemedicine and digital hospitals. Medbelle is a digital hospital that fits exactly into that thesis. It offers services through a digital platform that has the potential to both improve the patient experience dramatically, as well as create much-needed efficiencies in the way services and procedures are provided. Medbelle offers self-pay customers a way to find and connect with doctors, putting them in control of their care. So far, c.800 procedures have been booked through Medbelle - a number which is expected to soar as it begins to expand its offer. Patients can book their procedure through Medbelle, which provides them with leading specialists and state-of-the-art operating facilities. All of the organisation is taken care of by the platform. Interactions between the patient and their support team take place between a single simple web portal and app. All of this is revolutionary from the point of view of the patient. Navigating private health care can be tricky and prospective patients can often feel overwhelmed, even deterred, by the sheer number of specialists out there and the complexity of the subject, and need to get it right. In Medbelle the platform can educate the patient, explain the procedure, connect them with the right surgeon and book the operation. There is transparency around pricing - no need for essential costs to be overlooked - and the whole patient journey, from consultation to post-procedure check ups, can be managed. From a provider point of view, Medbelle also provides a new way to maximise expensive facilities. It can help to utilize underused operating theatres and make sure highly-trained surgeons use their time well. Medbelle is solving pain points on both sides of the patient journey. To achieve this, the German-founded company is devoted to attracting the top echelon of doctors and specialists. For instance, all its surgeons are Fellows of the Royal College of Surgeons and registered as a specialist in the General Medical Council amongst a number of other qualifications, which means that patients can be assured that they are in safe hands. We truly believe that this will be a groundbreaking service in patient care. From a start in the self-pay market, it has the potential to accelerate growth, especially with increasing opportunities to work with the NHS and health insurers. Which brings us to the co-founders of Medbelle - Daniel Kolb and Leander de Laporte. They’re both great entrepreneurs with a passion for creating a truly innovative healthcare business. Leander saw it in first person looking at the doctors in his own family, and understood the problem of inefficiencies from a doctor and a patient perspective. We were convinced of both their business case and their capability to do it. The fact that they had track-record scaling startups, was doubly reassuring. Sometimes it takes 12 months or even longer to be sure that you want to invest in a company. Having researched the digital health sector for over 2 years - we know the types of companies we’re looking for. We found and invested in Medbelle in a very short time and have real conviction as well as great excitement in the deal. Medbelle may be our first investment in health tech but we are certain we are in safe hands! To recap, in Part I of this blog post I reviewed how inefficient the healthcare sector today is and provided an overview of the specific areas that are ripe for disruption. In this second and concluding part I’ll reveal some of the companies who are redefining the sector and what tools they’ve brought to market to transform the digital patient journey. From prevention to detection, to treatment and monitoring, the digital health space is very broad. After months of research we’ve only just scratched the surface and that’s what makes the sector so interesting for me. Healthcare as we know it has entered a real revolution which is super exciting, so here’s my pick of the subsectors, the innovations and pioneers leading the change. There’s almost an infinite number of health-related consumer apps on the market, spanning a broad range of subsectors: general wellness, fitness, sleep, fertility, DNA, microbiome, nutrition. Often, they are matched with a relatively low-cost hardware device or testing kit. Digital health is promoting the move to a more preventative focus, rather than a treatment-led approach to patients. I am thrilled by the prospect of people having the power to manage their own health and be in control of their health data. “Research suggests that only five percent of cancers are hereditary. That means the non-inherited causes of cancer — the lifestyle choices we make, the foods we eat, and our physical activity levels — have a direct impact on our overall cancer risk” (1) it’s truly inspiring to think of the positive consequences on lives, public spending and the pressures on the sector if we were able to reduce cancer cases, simply by using apps on our phones. “Around 1 in 7 couples globally have difficulty conceiving: this is 3.5 million people in the UK(2).” Fertility solutions and femtech in general presents a huge opportunity. It’s an intricate subsector which has been navigating many lifestyle trends including better awareness of conditions, the confidence to discuss problems and cultural shifts like more women choosing to have a family in their late thirties or forties. Every human is intrinsically a little lazy. Despite the current growing trends on prevention, incorporating a B2B2C strategy is advised, ensuring lower CAC. The testing itself will get commoditised. It’s the insights and recommendations that are extracted from raw data that present the real monetisation opportunity. This category sometimes overlaps with the Consumer Apps, but I interpret it as less preventative and more focussed on tracking metrics in the post-diagnostics stage. These devices tackle the important issue of distance from point of care and address the real need of patients to be monitored post diagnosis. They are definitely in the painkiller/must-have category rather than in vitamins/nice-to-have one. Clinical trials are costly and it’s extremely difficult to find the correct sample of patients. It is also a must-have in the industry because clinical trials obviously contribute towards finding a cure to serious illnesses. Telemedicine is obviously revolutionary, given the average time to get an appointment with a GP in the UK can be in the weeks’ range. These platforms solve the distance from point of care issue and increase time efficiency and revenue for doctors. The primary care sector has been historically very well-funded, while the platforms for secondary care (generalists and specialists) will present a great opportunity for venture capitalists (hello high AOV!). We all know Amazon Echo, Google Home etc. The sector is risky for young start-ups and crowded with powerful tech incumbents. Google is also planning to serve seniors through Nest, helping them to live independently or as long as possible. These companies help overcome the fragmentation of health information, which can affect patients’ care when it leads to lack of communication and coordination. More information leads to more accurate therapies which can be tailored to each individual and contribute to a patient-centric system. In addition, given the data sensitivity issue, there is perfect applicability for blockchain projects. A few of these companies are: Doc.ai, which allows individuals to collect and own all their health data onto their platform, Repositive, which holds the biggest collection of cancer models in the world, and Shivom.io, whose intent is developing the world’s largest DNA data and healthcare services platform powered by blockchain technology. The digital patient journey is complex and touches many verticals not covered in this blog series. There are workflow collaboration tools, innovations in the healthcare insurance space, respiratory care, diabetes management, and many more sub-verticals we’ve been exploring. Traditional healthcare is being disrupted at each point of the value chain and whilst there will be winners and losers, I’m excited to be part of the process and watch closely how technology will bring more efficiency, increased accuracy in diagnosis, better treatment and quality of life for patients worldwide. Keen to hear more of our research in this space? Join us on 16 May for our half day Digital Health Summit hosted at Illuminate, Science Museum. Beatrice joined Talis Capital in 2018 after spending three years working at Jefferies in their Investment Banking division, where she has been involved in several transactions primarily in the Technology, Media and Telecoms space with a combined value of c.$4 billion. Beatrice holds a MSc in Risk and Finance from The London School of Economics and a BSc in Business Administration from Bocconi University. She speaks three languages and loves travelling, mindful meditation and wine tasting. By Matus Maar, Managing Partner, & Beatrice Aliprandi, Senior Analyst, at Talis Capital. 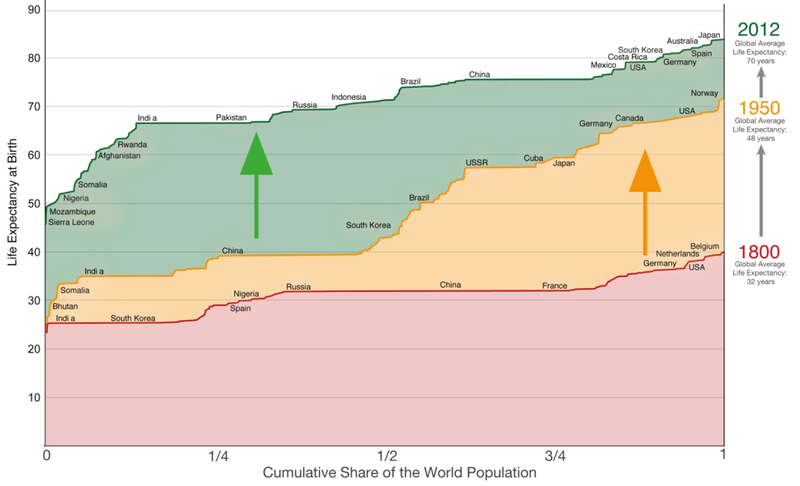 Alongside climate change, water scarcity, urban and oceanic pollution, the issue of how to sustainably feed a global population - predicted to surge by two billion people by 2050 - is one of the great existential problems of our age. With the demand for protein set to rise inexorably, and the worldwide search for alternative protein sources for feed and fertilizers intensifying as a result, something has to give in a global food system which is already over-stretched and plagued by waste and inefficiencies. It’s not often as investors that we encounter entrepreneurs grappling with societal problems of this magnitude. However, our introduction, by impact investor Eric Archambeau, to Antoine Hubert, the CEO and co-founder of Ÿnsect was one such instance. Ÿnsect is a pioneering ag-tech company which specializes in breeding insects and transforming them into premium ingredients for fish feed, pet food and organic plant fertilizers. Based in Paris, the company draws on proprietary technology - protected by 25 patents - to develop "farm-hills" (Fermilières®), which are low-footprint vertical farms used for Molitor or mealworm breeding. On a tour of Ÿnsect’s first factory last summer, the company’s vision and ambition was plain to see – this is a team entirely focused on making a meaningful difference not only to the way food is produced worldwide, but also in the creation of a sustainable food system. In particular there were four factors which led us to join Ÿnsect’s $125m (€110m) Series C round, which is announced today. First is the fish protein market itself. Around half of the fish we eat today is farmed. But fishmeal, the primary food source for farmed fish, comes from dwindling ocean fish stocks under severe duress due to decades of overfishing – with one study even projecting that global fish stocks will collapse by the midpoint of the century. Reducing reliance on fishmeal, is therefore a crucial component of Ÿnsect’s mission. And it’s a huge market; the animal feed market, as a whole, is estimated to be worth $500bn globally, and it’s growing. As part of their natural diet wild fish and crustaceans eat insects -- an important source of high quality protein and polyunsaturated fats. But while Ÿnsect’s competitors chose to farm other species, Antoine and his team picked the Molitor, which are small, common beetles known as mealworms. In their research, they found that Molitor/mealworm protein outperforms every other variety of insect for fish or animal feed. Due to the fact that Molitor larvae can be grown in the dark and consume very little water, the production process itself is both energy efficient and highly scalable. There’s very little water waste and because the ultimate product is 72% protein, it is proven to be highly effective as fish feed or for pet nutrition. The Molitor has been shown to be the only insect so far that can be raised at mass-scale and can also deliver Ÿnsect’s unique products: in particular, ŸnMeal, extracted from Molitor larvae, which offers sustainable, premium nutrition for animals, with superior and proven nutritional performance and health benefits for – among others -- shrimp, salmon, trout, and sea-bass. Ÿnsect’s next major differentiator is their proprietary and patented technology. 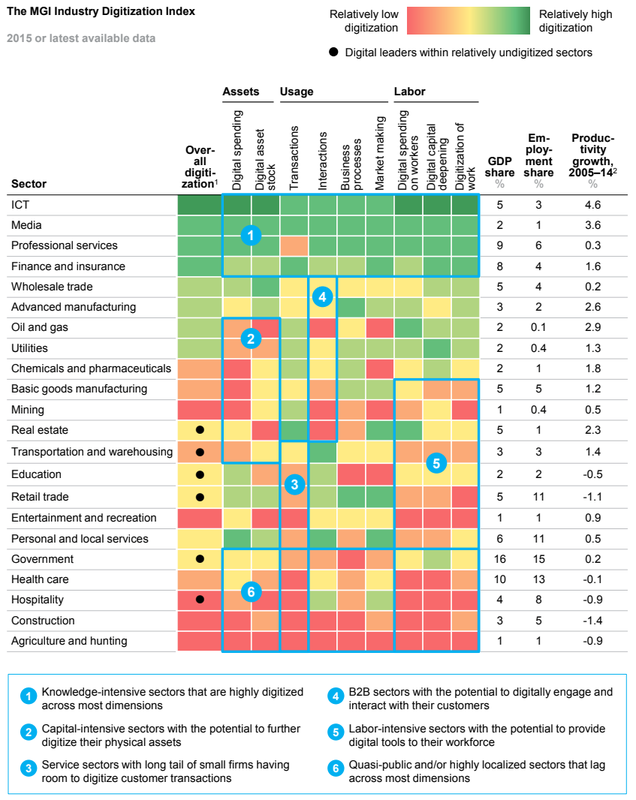 Many companies talk a good game by using words like AI, machine learning and robotics, when often their connection to those technologies is tenuous at best. By contrast, Ÿnsect’s 3,000 square metre vertical farm uses end-to-end automation and is highly efficient. Robotic arms, for example, shift the larvae from one area to the next, while machine learning underpins the entire production process, including gauging the larvae’s levels of maturity to know when they are ready to be moved. Human involvement is largely confined to oversight and quality control. All of those factors combined – from the size of the market opportunity, to the unique product itself and Ÿnsect’s patented technology, the experience of the founding team in their respective fields and the urgency of the problem they’re addressing – give us deep conviction that Antoine and his team could be the global winners in this space. And this is just the start. While there’s a huge opportunity in acquaculture from a sustainability standpoint, an even bigger market awaits the company: namely, cattle and livestock. One of the world’s most inefficient, wasteful and polluting sectors, intensive pastoral farming is still mired in questionable practices, particularly around animal feed. That’s for another day, of course. But in the meantime, as concerns grow about the sustainability and impact of the food we eat – and with the entire journey from farm to fork under unprecedented scrutiny – it’s clear to us that alternative protein of the variety that Ÿnsect has mastered, will prove transformative. Not just for animal and plant feed – but the future of our planet itself. The global healthcare sector is notorious for being expensive and inefficient with traditional providers struggling to cope with modern day industry dynamics. In this two-part blog series Beatrice Aliprandi shares her research and views on a broken healthcare sector and how technological innovation is serving up the true remedy. As well as these general industry developments, there are specific healthcare challenges in the UK alone. The over-65 UK population is estimated to reach 25% by 2044, compared to 14% just 40 years ago. NHS public spending represented 30% of the UK budget in 2015-2016 (more than £125 billion), compared to 11% in 1955-56(2). These trends combined are putting significant pressure on the UK health service rendering their care unsustainable in the long term. The UK is not alone with most European countries are also battling with similar issues. As population increases and ages, it is natural to ask ourselves if there will be healthcare resources to meet the growing demand? In the majority of Western Europe there are between 30 to 40 physicians per 10,000 population, dropping to 20-30 in the UK and in the US, with significant uncertainty as to whether this proportion will be maintained in the future as the population evolves. The healthcare sector desperately needs a technological revelation to help digitalise the patient’s journey, bringing with it; efficiencies, automation and a focus on prevention rather than adhoc treatment. From a funding perspective, volumes are strong with $3.4 billion invested in digital health just in the first half of 2018(5), but the sector has been lagging behind other more mature technology subsectors, with 75% of funding rounds concentrated at Seed to Series B stage. This also clearly proves there is a growing opportunity for Venture Capital firms funding early stage innovations. For each category of tools addressing stages of the patient journey, I have gathered my thoughts, pros and cons, and best investment strategies, which I will reveal in Part 2 of this blog (stay tuned)! In summary traditional healthcare cannot sustain current spending patterns and volumes. There is a critical need to create more efficiencies and focus on prevention rather than disease treatment. Despite the macro pressures and industry specific challenges, there is a huge untapped opportunity in the health-tech sector leaving a blank canvas to savvy and passionate entrepreneurs who can genuinely add value and take the sector to the next level. Thank you to all our speakers & guests for making the conference a real success! Please find the follow up materials, photos and our views below. Global research shows both innovation and fundraising dedicated to innovation in Real Estate is in significant growth. PropTech is entering into a new wave, becoming more mainstream, better understood and therefore easier to attribute real value. 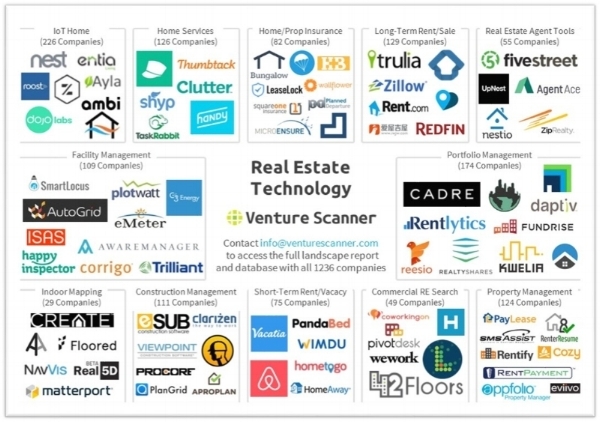 Talis Capital has made a number of investments in both PropTech as well as other software solutions with property market applications. On 16 Nov 2018 Talis Capital hosted their conference as a platform to discuss how technology, innovation and digitalisation are transforming Real Estate and the world we live in. Real Estate is valued globally at around $229 trillion a figure which exceeds the global value of equities and securitized debt by $79 trillion. 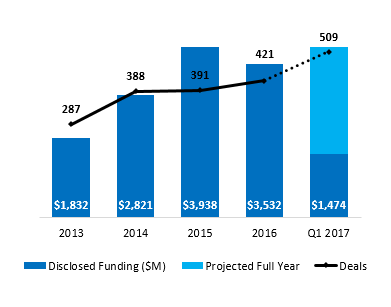 We are seeing explosive investment growth as Global Investment in PropTech start ups tripled from 2016 to 2017, rising to $12.6 billion from $4.2 billion1. Across the world in 2017 we saw the rise of Megadeals in real estate technology from the likes of WeWork, Compass and Offerpad in the US to China with Xiaozhu and the UK with LendInvest & Nested. Who have mostly gone on to raise significant rounds this year e.g SoftBank’s $3bn investment into WeWork, Lendinvest’s $40m pre IPO round and $120m for Nested from debt finance as well as equity cheques from Balderton & Northzone. Property is one of the largest asset classes in the world and covers a broad range of subsectors. New entrants into the market are taking advantage of revolutionising how players interact along the real estate chain - focusing on curation, financing, ownership, autonomy, AI and big data to maximise yields, capitalise on efficiencies and create new products and services. We see real opportunity in the sector and look forward to continuing to invest in exciting technologies in this space as well as helping our current PropTech companies to scale. Click here to download the slides and research presented and the programme brochure.